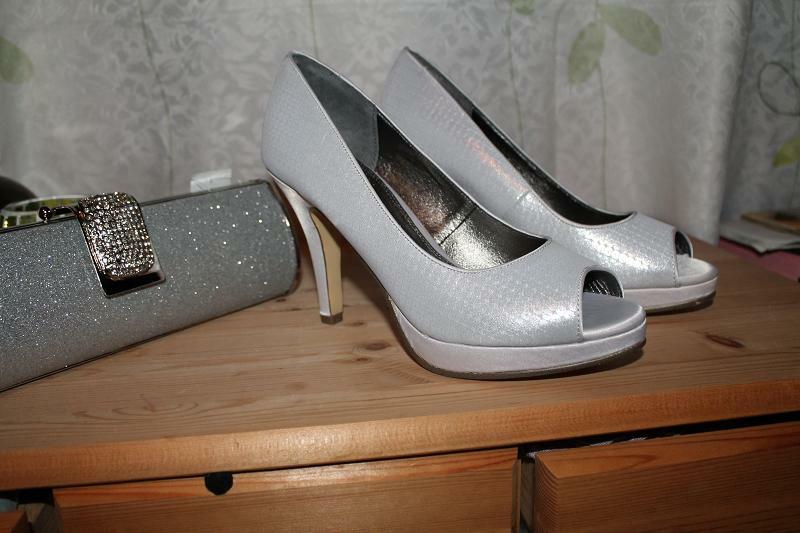 Entertainment and Fashion Galore: New Shoes and a cute purse! New Shoes and a cute purse! Opps... this is not mine. 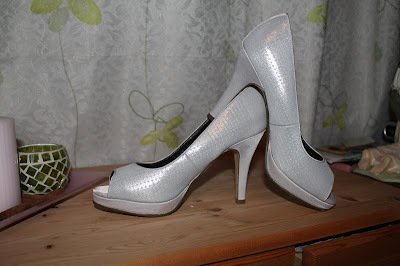 A friend of mine shared to me her new pair of shoes, isn't that sweet? I love the color but I don't like the price it's quite expensive lol.. but in fashion right? This can be for formal affair and can be for pair for jeans too. She bought this by reason, so good that she finally found one that fits her needs. She had a hard time finding one. It is not easy to find shoes that's fits well here in Europe, they all have big sizes... a petite like me must have time to find one. Well, well.. nice pair with a cute new purse in gray color too! Thanks for sharing friend. This entry was posted on 9:38 AM You can follow any responses to this entry through the RSS 2.0 feed. You can leave a response, or trackback from your own site. I smell a party. Haha. Wow. Big sizes in Europe? Now, that's another i now know about Europe. Thanks. Yes, the shoes and purse are cute. Wow, they are sooo cute!!! I love the shoes and purse too. I hope the price doesn't hurt the wallet though. But definitely a keeper.